Our range of products include humidifier bottle, single gauge nitrogen regulator and double gauge oxygen regulator. 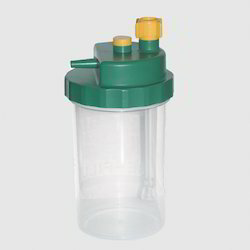 We also offer a wide range of Humidifier Bottle (Oxygen Regulators). These oxygen regulators are made under the supervision of our experts by using a high quality of material. These regulators are used for various medical purposes. 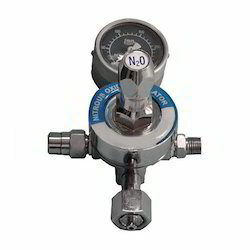 The enormous range of Double Gauge Nitrous (N2O) Regulator that we provide to our clients for medical use are of high rank quality with an extensively high performance and have light weight which are safe to use. We are engaged in offering Double Gauge Oxygen (O2) Regulator to our clients. These oxygen regulators are made under the supervision of our experts by using a high quality of material. These regulators are used for various medical purposes.